Bee Moving NY is a full service New York moving company committed to providing high quality, fast, reliable, and efficient services to consumers and businesses for both — local and long distance moving. Our competitive rates, reliability and experience are key factors in developing our business. From full-service moving, including packing, wrapping, crating and transporting all your furniture, appliances and other household items to a simple pick-up service, we are the premiere professional NY Movers in the greater New York area. Bee Happy! At Bee Moving NY we maintain a system of strong commitment delivering the best quality service by keeping every customer happy. We are building our unique business on repeat and referral customer basis and it is our ultimate goal to make every single customer our potential client forever. The “word of mouth” happened to be one of the best advertising methods. 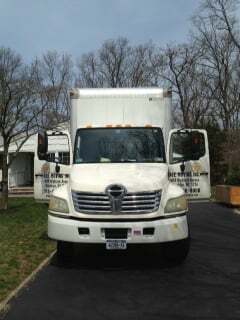 The way we developed relationship of mutual trust with our clients makes us the most trusted Moving Company in New York. We are employee owned business and this creates greater accountability, responsibility and special attention to every detail on a job. Simply saying, we deliver happiness with every move! Bee Smart! 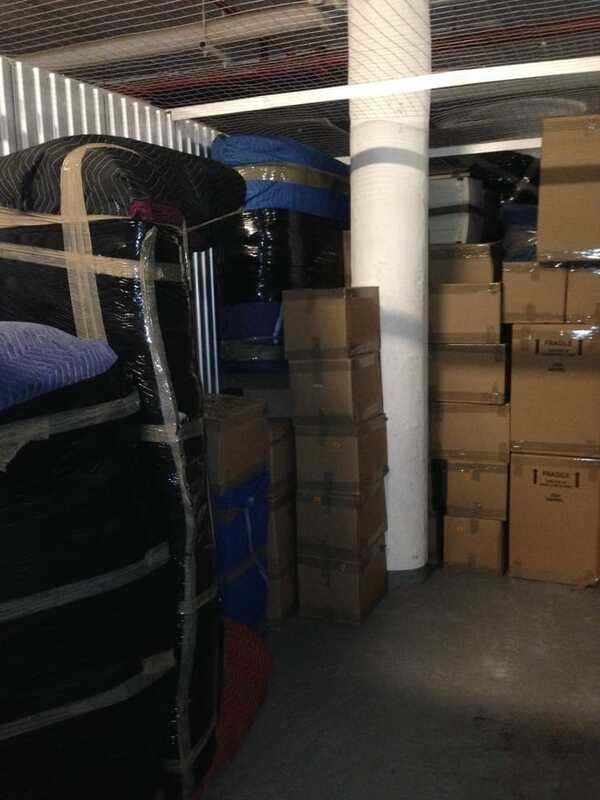 It is crucial to make a smart decision when choosing Movers in New York. The main factor to consider is a company reputation. 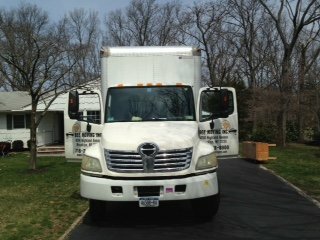 There are numerous websites providing reviews for movers, and in general they are trusted, but consider two factors: first, some “moving companies” are lead generators – selling your information to movers, and second, according to one of our long standing client- “Not every satisfied customer will write a review, but every unhappy will.” We offer services tailored to our customer needs. From start to finish, perfectly planned move is performed within expected timeframe, conveniently and confidently, with professionalism and great care. Bee Safe! Our goal is to provide a piece of mind with every move. We operate fleet of new, safe and reliable moving trucks loaded with professional moving equipment and full line of packing supplies. Each and every truck GPS equipped, so it is never gets lost in driving directions, moreover all trucks are tracked on dispatch screen. All of our workers are Certified Professional Movers with years of proved excellent performance. Our Professional Movers certification program guarantee that every mover possesses skills and methods of packing, wrapping furniture, televisions, pictures, mirrors, lamps, china cabinets, piano, disassembling & reassembling major types of furniture, appliance services, covering floors, protecting walls and take care of the whole shipment of household goods. Free online moving quote calculator is light and easy-to-use, not requiring any specific knowledge from you. Everything you need is to specify the total size of your belongings, starting and ending points of your move, using additional services like packing/unpacking, etc. and send the request. Considering all the data you entered we make the accurate and precise calculation of the cost and delivering time and will provide you the results in 5 minutes. You can see information about other local and long distance moving companies in New York in our catalog. I discovered Bee from City Move and I used these guys because they came in at the best price overall. I was worried if the deal was too good to be true.Good news: This was a great move!They arrived on time (actually early) and the team was very nice, friendly and respectful. They were also quick and efficient. My only qualm was that one of the guys stood my mattress up on the floor in order to shrink wrap it, but my floor was a little dirty from their muddy boots from the rain outside, and I wish they had not put my mattress on the floor to wrap it. They could have put a protective sheet or towel down first. The guy said "don't worry about it" so I assume this is a standard practice and I just have insane OCD (which I probably do.) I think all movers do this. Anyway, they did a fantastic job. I felt like they otherwise really cared about me and one guy even suggested I lose my couch because something was broken. I took his advice. I definitely recommend them. Excellent moving company. 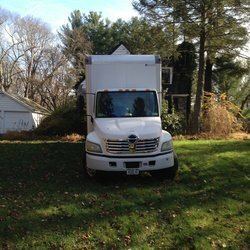 They helped us move from Brooklyn, NY to Pennsylvania last week and were easily the lowest price along with being extremely professional. They showed up on time, knew what they were doing in terms of handling our all our property with care, and did everything in a timely fashion. Highly recommended. what's really funny is how that email completely proves my point and yet they are using it to argue theirs. You can judge for yourself. I was quoted $440 for a 4 hour move. It took four hours and I was billed $570 (and I stupidly tipped them on top of that), after extra fees and the whopping travel fee of "$110" that was after the fact explained to me as "you pay for us to get to you and for us to get to our next job". Hmm. So do you charge the next person an overlapping fee for your arrival, too? Thus charging us both for the same time? I'm no lawyer, but that sure sounds shady, if not illegal. at the very least, you can see that these fees are hidden, if not outright lied about, because why was I not quoted $550 in the email? If it was a 4 hour working minimum + 1 hours of travel (billed at the same rate) I should have been quoted $550. And I would have gone with another company -- but they knew that.as I noted in my first review, I should have gone through a site with checks/balances and I should have gotten a contract way before moving day. although I DO have the contract I signed when the job started the morning of and could gladly show anyone, maybe a lawyer? maybe the BBB?, how the price jumped suddenly as he wrote it on top of his carbon copy of the contract. Andrew and his team were fantastic. We had a lot more stuff than we thought and they came prepared with extra packing materials. They quickly and efficiently packed everything and shifted it using our somewhat too small elevator. 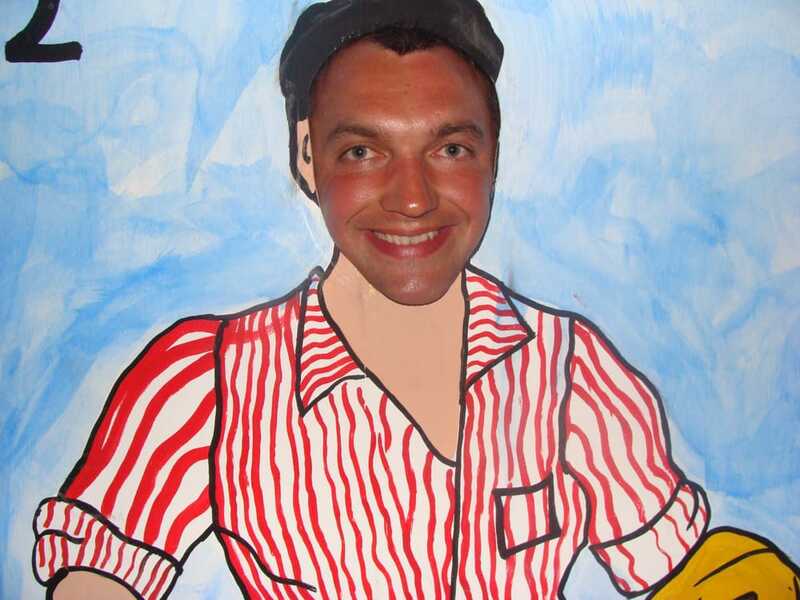 Andrew were extremely polite and accommodating throughout. None of our things were damaged in the process. We would definitely use Bee Moving again. My family received an absolutely amazing service today provided by these guys. Highly punctual and professional, fully insured too.